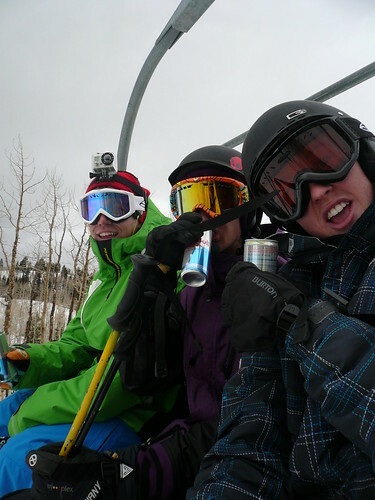 We rode park basically all day at The Canyons. Taylor Dame (with camera on head), Patrick (bro), Kevin, & I. It was good to hit the rails again although I was def rusty. And yes they were hit up by the Red Bull girls.